is the action of making information known that may have been hidden. 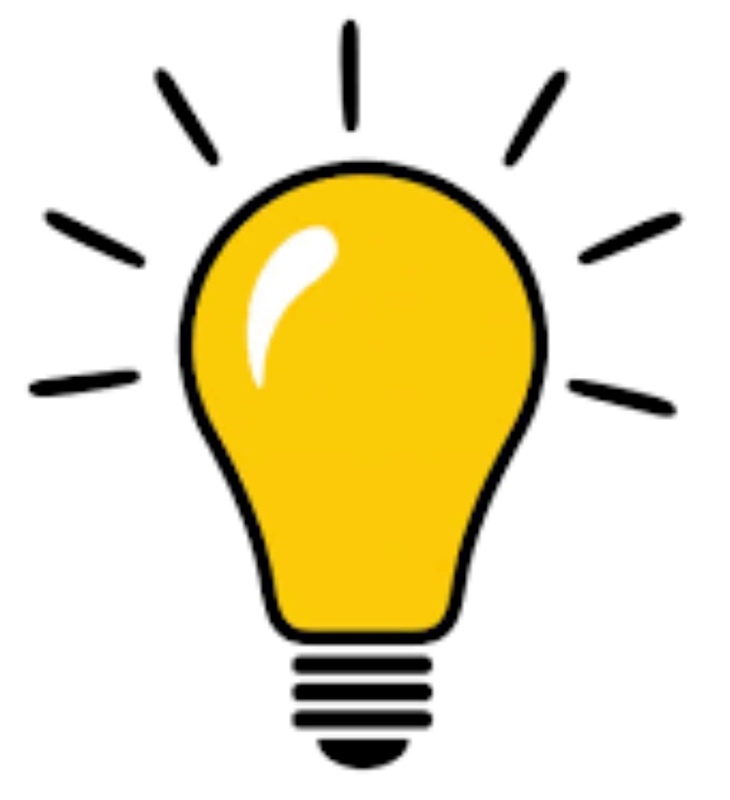 It is the idea of bringing openness to situations that may have been held back, or held in darkness. This article may show Australian dairy farmers how they can transform their perspectives, and farm differently, if they wanted to. The leap of faith may be vast, but farm profitability is up for mandatory re-evaluation anyway. For some, the following revelation of information may be upsetting, or even heartbreaking, because some life long illusions may be shattered. Some may even reject this information, because it is revolutionary or far removed from how they have farmed up until now. Information need to be brought into the open. The past needs to be re-evaluated, and new lessons have to be learnt and understood, so we can move forward in a balanced manner. Disclosure may start the healing process, and eventually lead to forgiveness and acceptance of what has occurred. The royal banking commission shows how important it is for social issues, like areas where much power has been given to a few, to be looked at in the public arena. People, like dairy farmers, often work for less than the minimum wage, and much harder than those who make millions of dollars a year. In Australia, it also seems easy to get a politician on your side when there is a mighty industry (or cash cow) to protect, but these systems rooted in inequality have to change… and will change. what is ultimately at fault, because there are multiple factors that contribute, and in unique ways. Many systems are at fault, because they have hidden imbalances built into them. That’s why it is so challenging to pinpoint. In a similar manner, some raw dairy production systems overseas have potential pitfalls, or trojan horses built into them as well. These hidden risks can set an industry up for failure and bring it to its knees eventually. They need to be identified. Receiving answers to troubling situations is very important, but they can create a great deal of inner turmoil. Revelation may be shocking and make people very angry, but it is a natural and necessary process. People need to weigh and evaluate what has occurred, because whatever steps they decide to take, will have far-reaching consequences. What was once not obvious, need to be realised and understood. Some farmers have felt that there is no way to begin again, or move forward, especially since the drought hit hard. After reading this article, some may recognise new opportunities or pathways not previously known to them. Image: In this article, raw dairy farmer Christine Page explains why the diverse species rich pastures are the basis for amazing and complex flavour. This is an old permanent pasture that was over-sowed. The now herbal pasture contain a range of over 15 different plants, click to enlarge image. Some overseas raw dairies have been operating for up to a decade. They have had plenty of time to learn that there can be a huge difference between producing for the industrial dairy industry, and producing raw milk for human consumption. They have had time to investigate how other farmers have adopted new farming methods, that are more sustainable and profitable. They reduce the inputs and their associated costs, and encourage a view of the farm as an ecosystem. They solve problems, hold water on the farm, create healthier soil, more robust pastures, produce a higher quality and quantity of milk and a more financially stable operation. This is the journey from industrial to regenerative or biological farming. This weekend in the Gold Coast from 9 - 12 November, people from all over the world are congregating for the annual event at Southern Cross University. It receives visitors from all over the world and people from all states in Australia. There will be up to 40 exhibitors and three international speakers: Jeff Moyer, Michael Phillips and Professor Carlo Leifert, plus over 25 other engaging speakers. ARMM has posted many articles about the amazing research on the benefits of near 100% pasture-fed cows, and the superior milk they produce with increased omega 3 and CLA health benefits, by Prof. Carlo Leifert. He has moved from the U.K. and now runs the new Centre for Organics Research at Southern Cross University. For more information on the expo: www.australianbiologicalfarmingconference.org/ or watch the videos from the conference here. Image: the cover crops for grazing on a raw dairy farm in New Zealand, click to enlarge. In times of drought, farmers who produce milk for the industrial dairy industry can feed their milking herd a variety of feeds, like large amounts of grains, cottonseed, brewers grains, food waste etc. This doesn’t seem to matter because the milk will be heat-treated anyway. These options, however, are not available for the farmer who produce for the raw dairy market, because these feeds can transfer microbial dangers to the raw dairy. So what is the lesson here? Farmers producing raw dairy overseas have had to learn how to grow a large mass of nutrient-rich, nourishing forage, and plan carefully for it to be available all year round. This may sound like mission impossible with Australia’s dry climate, but examples show that it is possible to mitigate the risk of running out of forage. Many farmers around the world have been learning from soil scientists how to achieve this. Soil scientists, like Australian Dr Christine Jones are finally getting the recognition they deserve in the media. Some farmers are already implementing a variety of methods that are part of what is now commonly called regenerative farming. The raw dairy farmers at Lindsay Farm is one of the early adoptees of biological farming, that is exploding in popularity in New Zealand. Soil scientists show that grassland really need the right kind of aerobic soil microbes, agrochemical-free farming, rotational grazing and high diversity of plant species, to create soil fertility and remineralised forage. The soil functions when there is abundant beneficial soil microbes, like mycorrhizal fungi, protozoa, nematodes etc. Australian soil scientist Dr Christine Jones from www.amazingcarbon.com, likes to describe in her lectures Australia as it was in the early colonial days, via the dairies of George Augustus Robinson written in the 1840s. In this video, she explains that in those days the Victorian grasslands had gone for 90 days without rain, and in 37'C temperatures in February, the grass was still green and "luxuriant". There were carpets of colourful wildflowers. The soil was deep and soft, and one could easily push a stick 2 feet into the ground. She says that in those days "we had a hydrated landscape, that didn't burn..." In the colonial days, grasslands had 300 - 400 different native plant species, with a visible green colour in all directions. Today Victorian farms have little pasture left in February. Today many farms grow monocultures of grain. Dairy farms often have a monoculture of ryegrass. This is a single plant species, with perhaps some clover or weeds in between... We’ve done something wrong… The Jena Experiment in Germany has been running for 15 years and shows plenty of evidence that single plant species grown as a monoculture harm soil fertility, and farm profitability. "Microbes within soil improve the ability of plants to absorb nutrients and resist drought, disease, and pests. They mediate soil carbon conversion, affecting the amount of carbon stored in soil or released into the atmosphere as carbon dioxide. The relevance of these functions to agriculture and climate are being observed like never before." Christine also says that around 85 - 90% of plant nutrients comes from nutrient cycling between plants and microbes. It means that nutrients have to come to the plant, via microbes surrounding the roots. This proves that the natural systems of Mother Nature should not be hindered. Our health, and our lives, depend on it. She says "only plants and their associated microbes can make topsoil fertile - and a diversity of plants and microbes makes it even better." Christine told an ABC reporter: "If we have sufficient microbes there they will alter the gene expression of the plant so it is able to defend itself from insects and fungi." "It will be able to extract, through stimulating various microbes around its roots, the nutrients it needs." She’s been lecturing on soil health for 40 years. Humans, beef- and dairy cattle all need to get their minerals from their food. Many centuries ago, animals were able to graze and move around according to their needs. There was no need for supplements, mineral bars, licks or antibiotics. Today many pastures and soil on farms are depleted altogether. This affects the health and immune systems of the animals, and their suitability to provide raw drinking milk (RDM). Mineral deficiencies can make cows susceptible to common diseases or bacterial infections, prone to infertility problems or prone to premature births, weak calves or prenatal deaths etc. According to this article, Christine Jones claims that over the last 150 years, many of the world's prime agriculture soils had lost between 30 and 75 per cent of their carbon. These losses have contributed to the profitability of farming. Farm debt is at an all time high and farmers are making less money every year, while the suppliers of farm inputs were earning 98 per cent of the total revenue generated by agriculture. Christine says that many of today's farming practises had compromised soil microbial communities. She believes all the minerals and trace element plants were there in the soil, but they could not access them (the minerals) because "networks of beneficial microbes were either not working or had been killed of by chemicals". At the 11 minute time marker of this video, she provides Australian data that shows no real improvement in milk production with the application of more inorganic nitrogen fertiliser, yet farmers tend to keep adding it. Farmers tend to expect results because inorganic nitrogen fertiliser visually grows taller grass. She says the application of inorganic nitrogen fertiliser decreases the ability of the grass to uptake minerals and trace elements, which affects the health of plants, animals and humans. The grass may visually grow more, but it is not necessarily nutrient-rich, because the communication (nutrient-cycling) between plants and microbes are diminished. She calls it “empty grass”. These plants are fed mostly water and nitrogen. She also says the nitrogen fertiliser use tend to push up vet bills in dairy farms in New Zealand. Nitrogen and phosphorus fertilisers are also said to be highly inefficient, because only a small amount is taken up by plants. They cause soil degradation, environmental pollution, reduce soil biodiversity, and create trace element deficiencies in plants, animals and people. Many other scientists echo similar findings. In this video, Professor Don Huber explains how some herbicides can chelate minerals, making them unavailable for uptake in the plants. This is an unacceptable practice for farms producing for the raw dairy market, because the animals need to enjoy maximum health, via nutrient-rich feed, to supply disease-free milk high in vital nutrients. As animals become more susceptible to bacterial infections, the need for antibiotics increase. It results in diseased animals. For more details, read the Farm Conditions, Cow Health and Feed categories of the Risk Identification and Risk Reduction program. Microbes like Mycorrhizal fungi, protozoa and nematodes in healthy, chemical-free, organic soil make more nutrients and minerals available to plants, which then provide a source of minerals, in the right proportions, to the plants and animals. 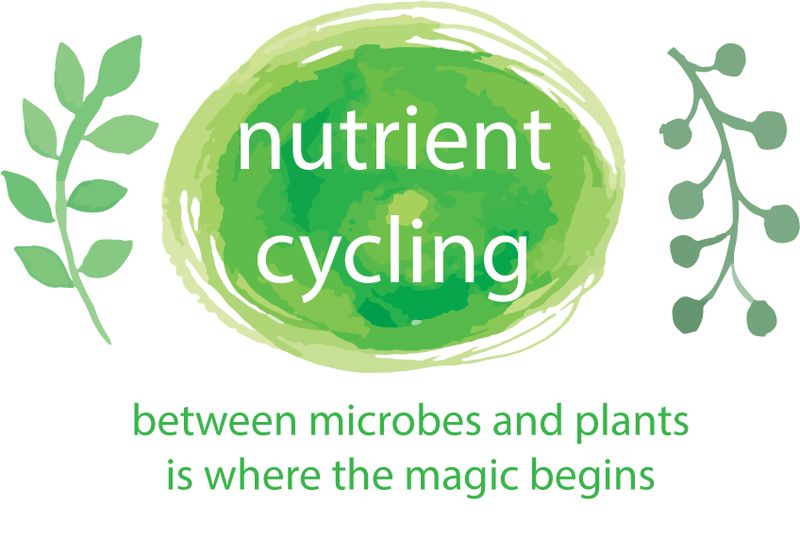 It makes sense to utilise the symbiotic relationship - the nutrient cycling between microbes and plants - to meet the animal's nutritional needs, instead of supplementing a specific mineral artificially, which may result in a mineral imbalance or toxicity if done incorrectly. This article shows that farmers may already have identified that stock requires a specific mineral, like for example selenium, but "many know little of the difference between inorganic and organic forms and what is actually available to the cow." Too much selenium can be toxic to cows, for example. According to this WA agriculture website: "Selenium is found in the soil and taken up by plants at different levels depending on plant species, fertiliser application and rainfall. Cattle consume selenium with the plants they eat. It is stored for a short period in the body, mainly in the liver, so a continual dietary supply of selenium ensures the best possible production." There are risks to supplementing minerals like trace elements artificially, because they can be toxic in the wrong proportions. It's a good risk reduction strategy for farmers to start with regenerative agriculture as soon as possible, to rectify mineral deficiencies in the natural, biological way. As balance is restored, the land is better able to support more healthy animals, diverse ecosystems, and thriving communities. Growing a large variety of plant species puts a dense ‘cover’ or ‘skin’ over the soil, nurturing life and preventing desertification. This protects water from evaporating, sustains the microbial activity, allows deeper root growth, prevents compaction, enables year round green and growing forage, and offer some protection against drought and bushfires. The landscape is more hydrated and doesn’t burn easily. Planting monocultures of grain to feed livestock is just not sustainable, for reasons previously explored. Modern farming practises and overproduction of food (and animal feed) can diminish the nutrition in it and create a crisis in how we feed and nourish ourselves. Many parents are becoming aware that feeding their children good food, doesn’t mean that they are nourished by it. It’s often ‘empty’. Harmful modern farming practices also releases massive amounts of CO2 into the air accelerating climate change. Putting the soil’s microbiome, and the soil’s probiotics back into the soil. plants are grazed, they release a massive amount of exudates into the surrounding soil, which causes the microbes to respond and grow quickly. The microbes explode in number. The various microbes then produce enzymes to pull nutrients out of the sand and organic matter, and actually store those nutrients inside of the microbes in extremely high concentrations. Other predator microbes and inhabitants of the soil, like earthworms, then feed off these microbes, and in this process the nutrients and minerals are released into the soil. This is the symbiotic cycle in which plants get access to the minerals, which is not available to them any other way. Elaine says this is the process in which plants access all the essential minerals they may need, in the proper balance. Plant diversity is important because plants release different exudates to stimulate microbes into releasing different nutrients. She also explains how giving plants nitrate fertiliser forces only one mineral on them, in extremely high concentrations, and it messes up the balance of what the plants need. She says nitrogen fertiliser also kills the organisms that settle around the roots of plants. She says it destroys the structure of the soil, creating a situation where water doesn't infiltrate the soil and then runs off causing erosion, which leads to run-off of your topsoil into lakes and rivers. This is a disaster! Click on the simplified illustration below to enlarge. Dr. Elaine Ingham is an American microbiologist and soil biology researcher. In this video, Elaine describes how she discovered that returning microorganisms to the soil is related to soil fertility. She says that compost tea was first used as early as Babylon in Mesopotamia according to records uncovered. These records contain descriptions showing how to make compost, compost tea and then applying it out on cropping fields. Elaine also found more information from a Roman manual, where they taught people how to farm; all of it was done using compost and compost tea. It's an ancient but highly successful method. In this video, Elaine tells her audience that compost is not a fertiliser, it is an inoculum (a substance used for inoculation). Homegrown compost of 21 days, is the source of massive amounts of diverse species, indigenous microbes that plants require to protect their root systems. Aerobic microbe growth are stimulated by brewing the compost in aerated water, like a tea at a particular temperature, with stimulants like humic acid, fulvic acid and kelp. The idea is to help the aerobic ones explode in number, and extract them from the compost. The final microbe-rich tea is then applied to the soil to get to work. Find Elaine’s basic compost tea recipe here. It's not a difficult process, it doesn’t cost a lot of money and you don't need a massive amount of compost for it to work. In only a few short weeks there can be positive results in the form of significant plant root growth. Elaine shows in some of her videos, like this one, that roots grow much deeper than before increasing farm profitability. In this video, Elaine explains how easy it is to purchase a microscope with a camera, then take her online microscope course, and in 24 hours you can start to assess your own compost, if you wish to take it to that level. This is to ensure that the farmer is growing the right kind of microbes, and not the disease causing, anaerobic ones. This is her American website: www.soilfoodweb.com where her online workshops can be purchased. Soil FoodWeb Institute is now part of an international group, visit the Australian site here: www.soilfoodweb.com.au. Books, audio and DVD's on how to make your own compost tea and also the microscopes are for sale via the Australian online store. They also provide workshops in Australia and a soil testing service. Soil FoodWeb Institute Australia was opened at Lismore in 2001 and according to they website, they work closely with Southern Cross University. There are many organisations in Australia who promote Dr Elaine's work. Farming secrets is another who sells the books and provides training on how to make the compost in Garfield, Victoria. It’s also important that farmers be weary of systems that introduce only one kind of microbe species in large numbers. Mycorrhizal fungi work together with other soil microbes like protozoa, nematodes, micro-arthropods and other predators in an ecosystem, as Dr Elaine describes. Diversity of the beneficial bacteria in the right proportions are key, which is why learning how to identify them and count them under the microscope can be very beneficial in the early days of soil restoration. If the compost tea is not brewed correctly, farmers may be growing lots of harmful anaerobic microbes, or even too much of a particular species. This article describes how foods added to a compost tea brew will select for particular species that can use those foods. For a bacterial tea, add sugars, simple proteins, and simple carbohydrates. For a fungal brew, add more complex foods, such as plant material (oatmeal, soybean meal, flour), humic acids, fulvic acids (which will release bacterial foods after fungi begin the process of decomposition). Predators (especially protozoa) can be enhanced by adding hay (cut green and dried), or by soaking hay for a few days and adding the water to the tea brew. According to this article, researchers at the Tasmanian Institute of Agriculture (TIA) have discovered that just like your own piping hot cuppa, not all compost teas are created equally. The TIA studied how compost tea’s ingredients and application play a role in fighting disease. That’s because the more diverse compost is, the more diverse microorganisms it will have. Microorganisms like bacteria can be key to fighting off diseases partly because they form a biofilm, a kind of natural shield against invaders like funguses. The reason why Dr Elaine Ingham’s compost tea method for ‘full scale biological restoration’ may be effectively used on the raw dairy farm, is because of the risk of pathogens in animal manure. Chicken manure is associated with Campylobacter, Salmonella and Listeria. Pigs or cows fed lots of grain and spent brewers grain may produce lots of pathogenic E.coli in their manure. Growing a good compost tea may be less risky than using manure from chickens, cows or pigs to serve as fertiliser on the pastures, see the Biosecurity risk category for an in depth exploration. In this video, soil microbiologist Dr Elaine explains why we need to make sure we have the organisms in the soil - that will set up the habitat and conditions in the soil - that makes it impossible for the diseases, the insects, the pests, the problem organisms, the weeds, to grow. Her work shows how beneficial soil microbes protect the roots of plants, and makes them 'invisible' to the harmful microbes. Beneficial microbes around plant roots function as root protectors. The introduction of large amounts of the right kind of soil microbes can be of significant help in weaning grasslands from the requirement for expensive inputs, like inorganic nitrogen fertiliser and some herbicides, fungicides and pesticides, faster. This is because the microbes are put to work to kickstart and reverse dysfunctional systems faster. According to Elaine, the introduction of more of the right kind of aerobic microbes, can also lead to a significant reduction in weeds, because it supports the abundant growth of the plants the animals want to eat. In some of her videos she provides visual evidence of this. 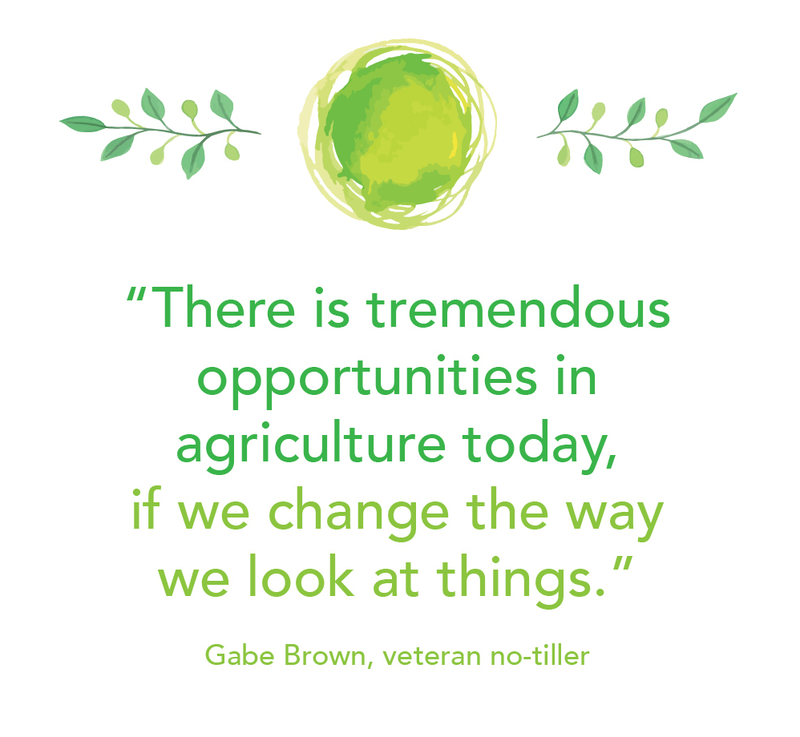 In this video, Gabe Brown, who started adding biology to the soil and started to wean the farm from chemical inputs more than a decade ago, describes his experiences. He now tours and teaches six months out of the year. Gabe says that Australian regenerative farmer Colin Seis, who has also moved down this path, has over 200% more organic carbon and his soils hold 200% more water. All of the soil nutrients, including trace elements, have increased by an average of 162% and the ph has changed from 5.2 to 6.01. Regenerative systems can have 10-fold fewer pests than insecticide-treated systems. According to this article, the field on Gabe’s farm haven’t been tilled since 1993, haven’t had fungicide or pesticide since before 2000 and haven’t had synthetic fertilizer since ‘07. Herbicide is used sparingly but as needed. Many farmers’ perception of weeds are also changing. They are finding that cows will happily eat many weeds, see this video. If they eat certain weeds, and it provides nutrition and nourishment for them, then it is not a weed; it is a forage. In addition, an intense rotational grazing system has many benefits. Subdividing larger pastures into smaller paddocks is an excellent way to allow cows to move onto a selected area, graze it 'mob-style', then move on soon after. One of the many benefits is that cows leave their manure behind, reducing the risk of potential exposure to harmful disease-causing microorganisms and insects. It leaves parasites behind to die off minimising or eliminating the need for de-wormers. Cows are not around to ingest new larvae in that paddock when they hatch. RAWMI-listed raw milk producer and farmer educator Charlotte Smith explain her Intense Rotational Grazing method in this video with knee-high grass in every new paddock. In the video above she explains why this raw milk can be safer, cleaner, healthier, with a long shelf life of 2 - 3 weeks. A three week+ animal absence from a paddock allows it to sanitise and restore itself naturally. Biomimicry is a method to replicate natural cycles. It is a concept based on the way herding animals have lived in nature for thousands of years. Grazing animals can bring grassland ecosystems into balance by mimicking ancestral herd movements. Keeping soil covered with plants all year round is also essential for restoring ecosystems that can hold onto water. Image: a high diversity species cover crop, click to enlarge. What is a cover crop? Cover crops have many purposes and are used in a variety of ways. In this video, North Dakota rancher Gabe Brown describes how to grow cover crops for grazing. He has been experimenting with various soil regeneration techniques for a decade. His beef cattle enjoy supreme health, no need for a vet and calve unassisted in the paddocks. Dr Elaine says she has witnessed many times how vet bills are reduced, and eventually the need for a vet diminishes, as farmers learn to grow healthier forage. Cows produce more milk, a higher quality of milk and are healthier. Farmers save money by not buying inputs anymore. Cover crops can also be sown together in permanent pastures and create abundant edible plant mass for the animals. See the work of SoilKee here in Victoria. The reason why cover crops increase soil fertility, is because different microbes have different relationship with plants. Together they create more or less of certain minerals, which is why some companion plants are called nitrogen-fixing plants. Some farmers sow up to 26 different plant species, in one paddock, as part of a soil restoration program. Biological farming is very popular in New Zealand at the moment. ﻿American soil scientist Ray Archuleta, told the reporter in this article that when you maintain a multi-species continual cover on the soil, this protects the soil like a ‘skin,’ preventing compaction, feeding the soil biology with a diversity of plant exudates, and supporting the formation and maintenance of soil aggregates. This, in turn, produces nitrogen so the need for inputs is reduced, and maintains the air spaces in the soil so that the rainfall stays in the soil where the farmer needs it, and doesn’t run off into the water. Like Christine, Ray also explains why growing abundant soil microbes doing nutrient cycling, are more important that chemical fertiliser. "Once healthy soils are cycling, nitrogen will not be an issue... You have to focus on the carbon first – the nitrogen processes the food, and 90 percent of nitrogen comes from the soil microbes. When you apply a chemical fertiliser, only about 40 percent reaches the plant, and 60 percent is leached." Australian regenerative farmer Colin Seis has for the last few years been developing 'multi species pasture cropping', which uses a group of plant species that produce good quality forage, have a range of different root systems, includes legume species, flowering plants, native grasses and species that will add to organic matter. Many of the images in this article contain plants that are a high source of nitrogen, like peas, hairy vetch and clover. The nitrogen-fixing bacteria that colonise the roots of legumes can convert nitrogen from the air, into a form plants can use. In this way, clovers help build organic matter in soil, improving water and mineral retention, microbacterial activity, and helping to sequester carbon from the atmosphere. 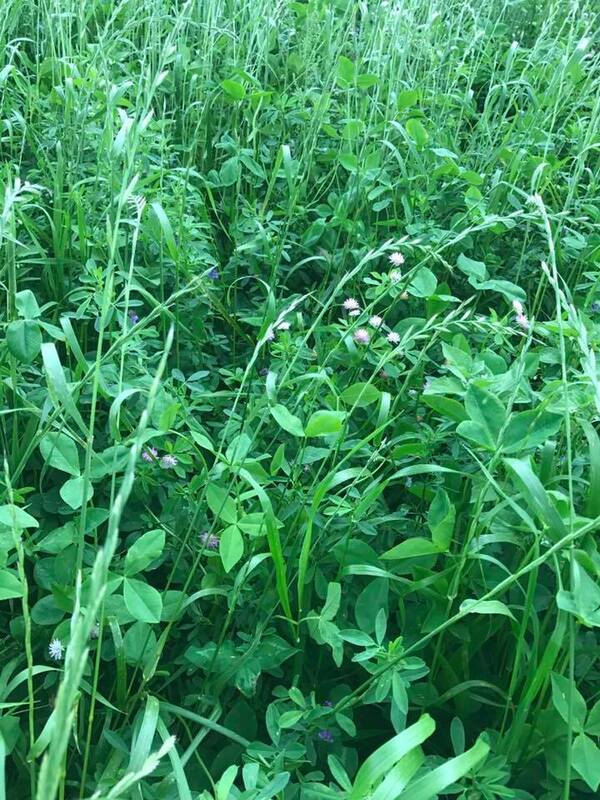 To see more examples and learn more about the use of multi-species cover crops for grazing, visit the Feed category of the Risk Identification and Risk Reduction Program. No- or low disturbance of the soil structure is very important for producing nutrient-rich food and sequestering carbon, because soil microbes build tiny houses called soil aggregates in organic matter, which must not be disrupted. In this video, Elaine describes how fungi builds air passageways that aerates the roots and allows for water to easily filter into the soil, and keep it there. The beneficial microorganisms need lots of air in order to outcompete the disease-causing ones. The bacteria and fungi retain nutrients when they are settled in their houses near plant roots. The pest predators are in place to enable nutrient-cycling. This highly efficient, but simple system of nature is vulnerable to harmful modern agricultural practices. Recently a Cornish farmer William Iliffe, became the latest trailblazer after he started his own independent consulting company Kernow Agronomy. A program was developed that builds soil health, rather than compromise the core business capital (the soil). The outcome is profound. According to this article, his client base includes an increasing array of large-scale growers disillusioned with static yields and growing input costs. Will is an impressive example of a new breed of agricultural consultants who have recognised the frailties of a symptom-treating, extractive model, and are exploring a regenerative, more productive alternative. Some of the farmers are able to reduce their chemical use, or completely eliminate it, and some are now carrying out minimal till, and even zero till as well. The strategy involves the beneficial aerobic microbes, kelp and fulvic acid, to name a few. Australian Story recent produced a beautiful story about how some Australian farmers are now drought-proofing their farms by building a ‘leaky’ weir in a specific low lying floodplain, that hydrates the surrounding landscape. It is a reproduction of what was once a natural process in Australia’s landscapes. Like the rest of New South Wales, Mulloon Creek is in drought. But, unlike other farms in the region, there's crystal clear water flowing through the creek - all thanks to the willow trees. Using rocks, fallen trees and other natural debris, a weir is constructed across the creek, not to stop the water from flowing through, but to slow the water down. It then has a chance to seep into the landscape on either side, rather than gushing down the creek system and straight out to sea, taking important nutrients with it. This is why Mulloon Creek is still running, even though there has been little rain. The change to the landscape is very striking, as can be seen in the videos. The ponds, leaky weirs and contours on these properties are part of the secret to how these farmers are thriving during drought. These farmers have adopted Natural Sequence Farming methods. They say the results speak for themselves. Read the article here or watch the full story here. In this video a new Canadian series on regenerative farming shows how the use of compost tea, with a variety of other strategies like cover crops, have lead to plants healing from bacterial diseases. Plants that regularly receive compost tea have become noticeably healthier. This compost tea brews for between 36 - 48 hours and is constantly aerated to encourage the growth of aerobic microbes. The compost tea is an asset because it frees farmers from external inputs, that some feel are more harmful that helpful to the environment. The video shows the benefits for farmers in acquiring a microscope to view what living beings are in the soil. This is also important because consumers want to ask farmers questions; they want to know if what they are buying and eating come from soil that is regenerating. To watch the video with english captions, select it in the video settings. The benefit with Dr Elaine Ingham’s compost tea method, is that you can assess under the microscope if you are indeed growing the right kind of aerobic microbes, and if you have the beneficial nematodes and other critters… In this video, Dr Elaine explains that if you grow anaerobic microbes (the disease causing ones), they drop the ph of the soil below 5.5, and that will harm the plants. In the video below, the Chinese are using water and an organic paste to restore vibrant life to the desert fast. It’s not hard to guess what’s in that paste though… It’s no secret… In this video, Christine Jones explains that it is government policy in China to reduce inorganic nitrogen use by 50% by 2020. They already know how to do it: soil biology and water. The solution already exist and many use these systems to restore farm profitability. It’s vital that farmers, who are interested in producing for the raw dairy market, learn how to produce nutrient-dense feed for animals, because this increases their health and resistance to disease, increasing the food safety of the product. Australia is a very risk averse country and it is prone to bushfires and drought. Farmers need to learn how to identify and mitigate the risks, and increase their farm’s profitability. In the 11 risk categories there is plenty of evidence. The Pasture for Life system in the U.K. also show how desirable animal foods produced in certified 100% pasture-based systems have become, like meat and dairy. Australians want this kind of nourishing food as well! Secrets to Soil Fertility Exposed!